Sackville St., Dublin City, Co. Dublin. View image details in NLI catalogue. Roman Catholic Church, Francis St., Dublin City, Co. Dublin. 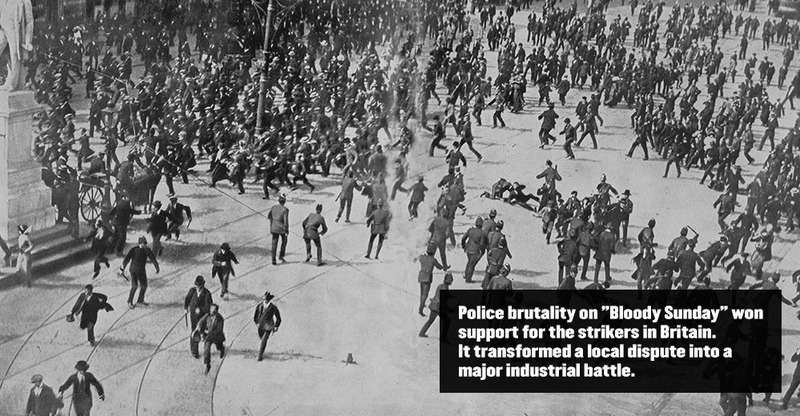 Police baton charge on Bloody Sunday. 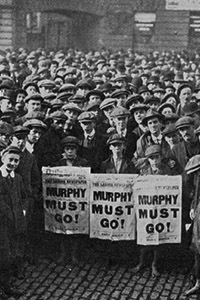 Members of the Food Committee mark the failure of the Dublin Peace Conference. 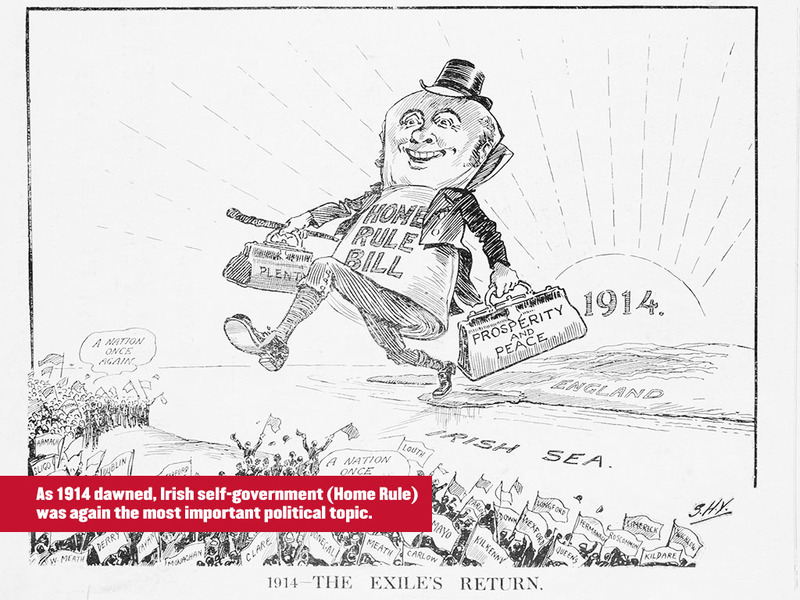 Ireland in 1913 was a country in turmoil, divided by the issue of Home Rule – self-government for the country. 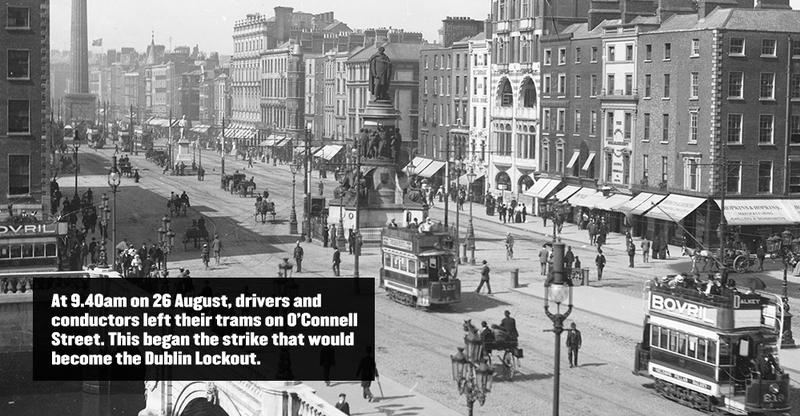 Against this backdrop, a violent industrial conflict took centre stage: The Dublin Lockout. 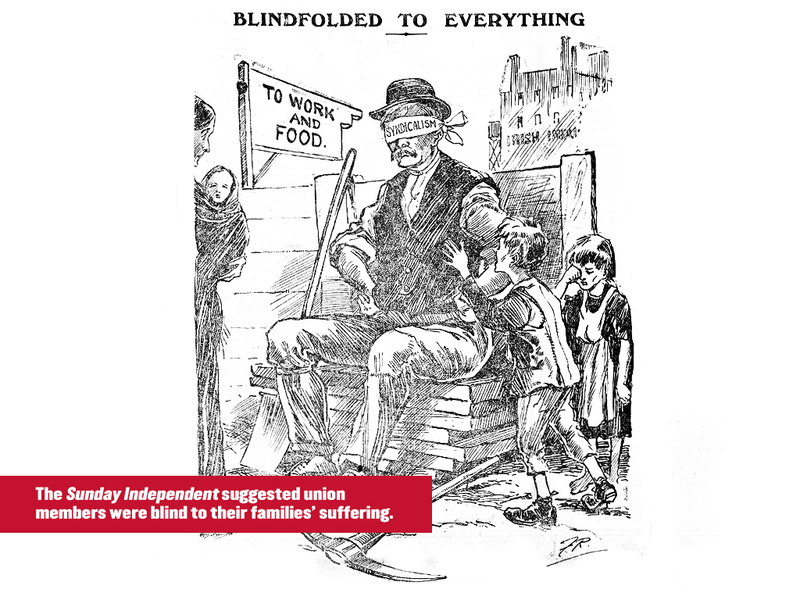 A free exhibition at the National Library of Ireland runs from 22 August 2013 through 2014, and examines the background, events and aftermath of the conflict. 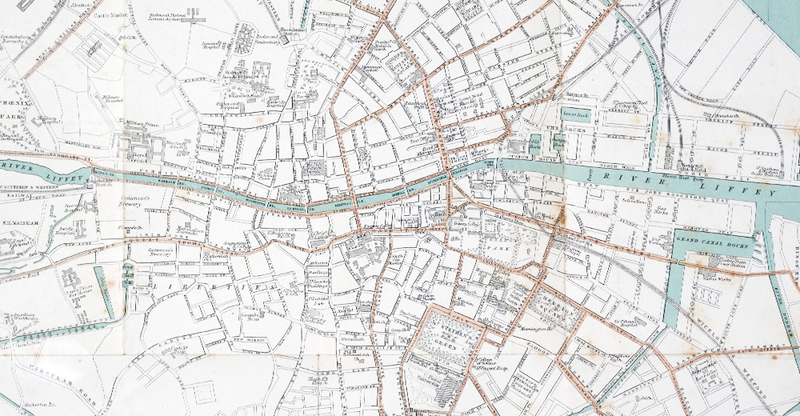 The exhibition is part of a coordinated programme of events organised to commemorate the Dublin Lockout, and explore its contemporary resonance, as part of the Decade of Commemorations. 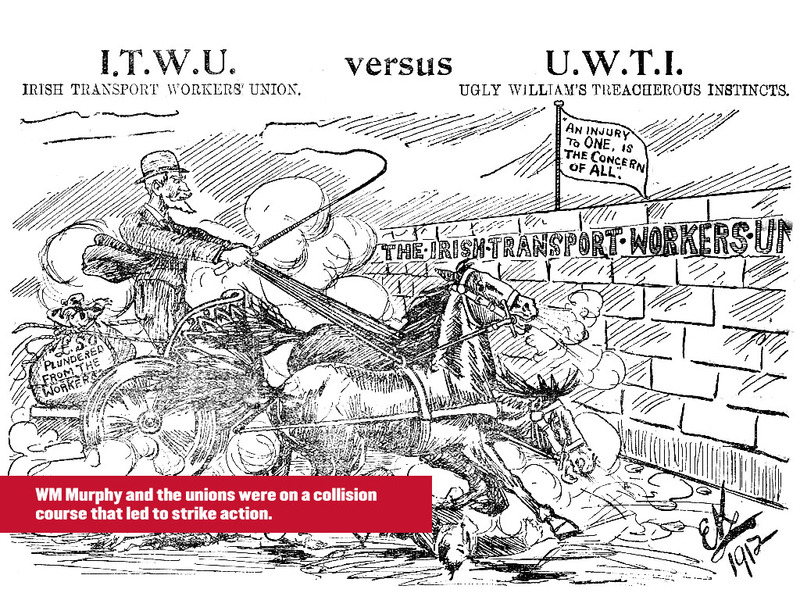 It is a partnership between the National Library of Ireland and the Irish Congress of Trade Unions’ 1913 Commemoration Committee. 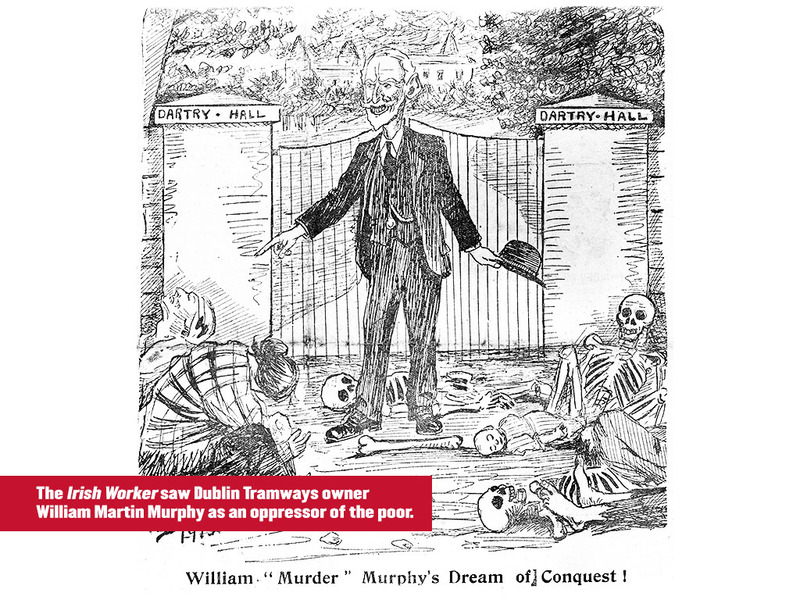 The exhibition draws upon the NLI’s extensive historical and literary collections. 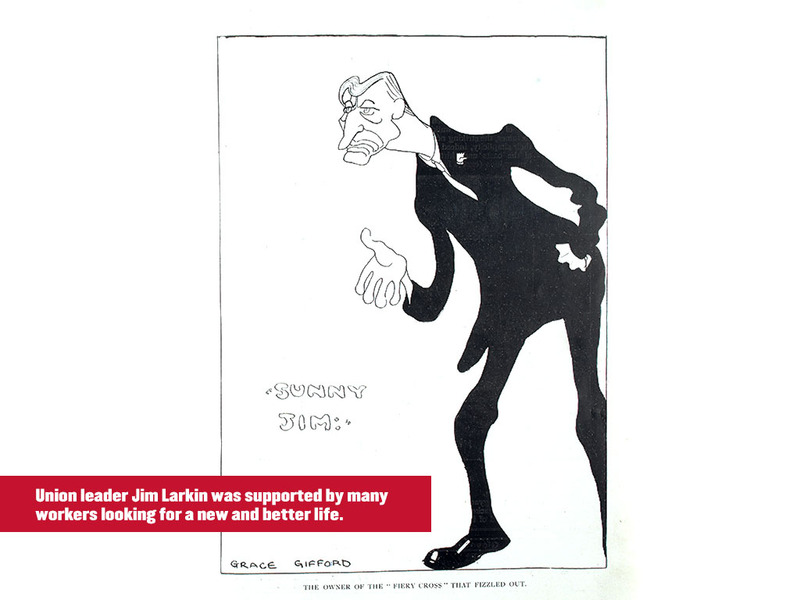 It combines original documents, such as Jim Larkin’s hastily scribbled advice to union colleagues on the eve of “Bloody Sunday”, with multimedia presentations. 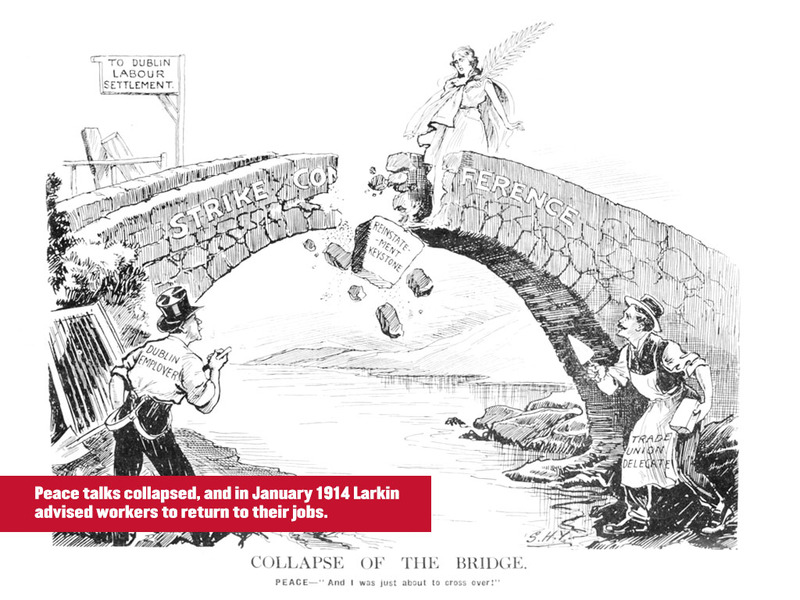 Through the exhibition, visitors can also share the experiences of those who lived through the Lockout, gaining a greater understanding of the issues facing the people of Dublin in 1913, and hear the opinions of present day commentators through short films and interactive touch screens. 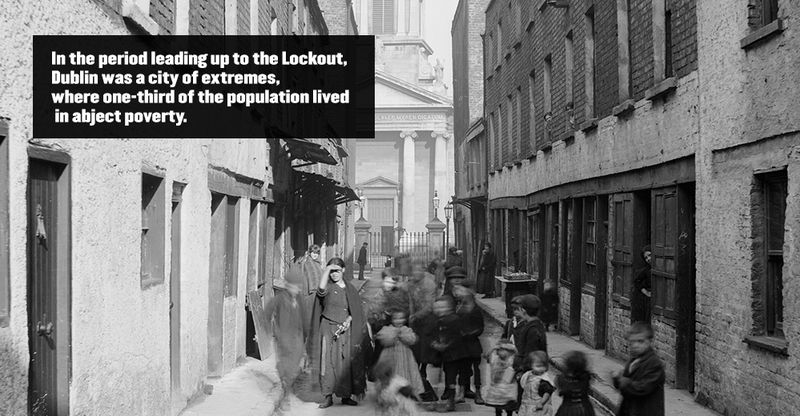 The Dublin Lockout reached every part of the city from affluent suburbs to impoverished tenements. Touch the hotspots to explore key sites connected with the Lockout. 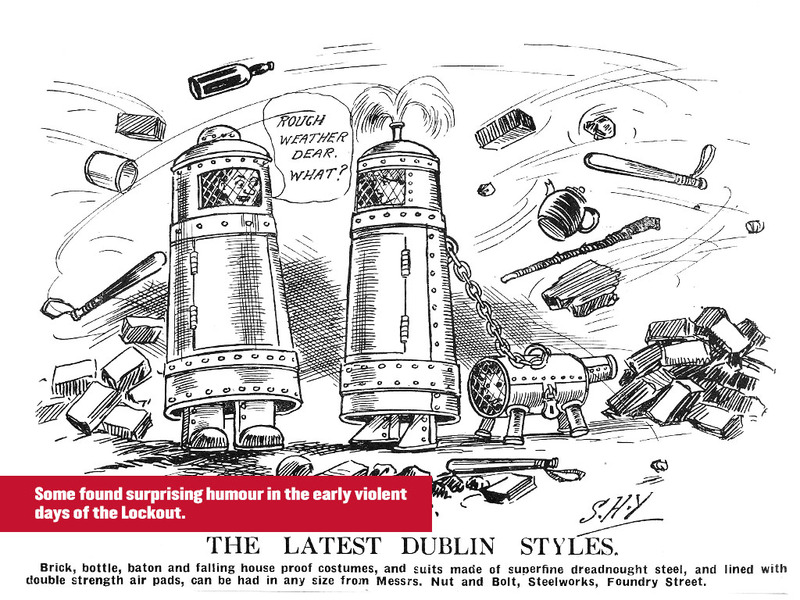 The Dublin Lockout provoked strong opinions 100 years ago. These films recall the experiences of those who lived through the Lockout, and explore how it is viewed today. 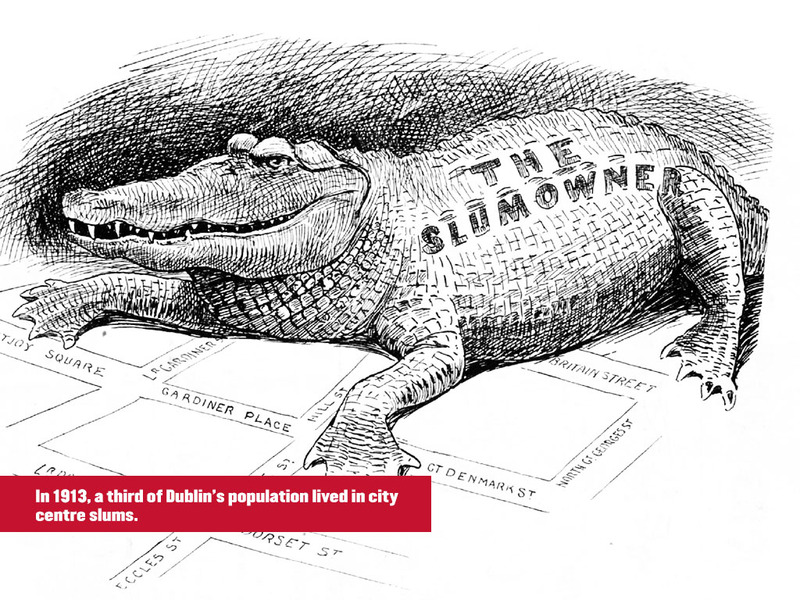 Hear the opinions of those who lived through the Dublin Lockout. James Plunkett's portrayal of the Dublin Lockout is discussed by Jane Alger, Director of Dublin UNESCO City of Literature. 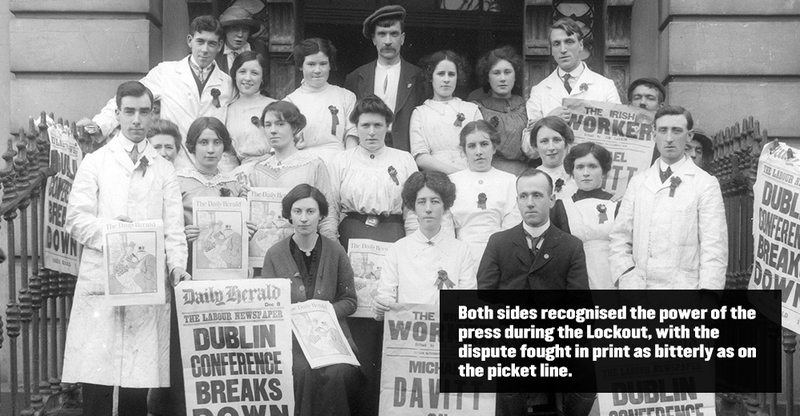 Catriona Crowe, Senior Archivist, National Archives of Ireland, describes the roles played by women in the Dublin Lockout. 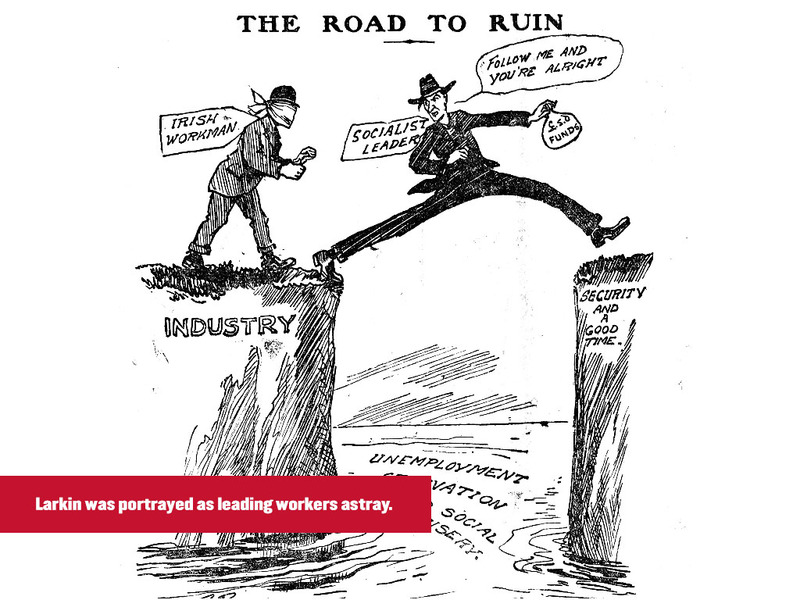 Historian and ICTU Industrial Officer, Dr Peter Rigney describes the aftermath of the Lockout. 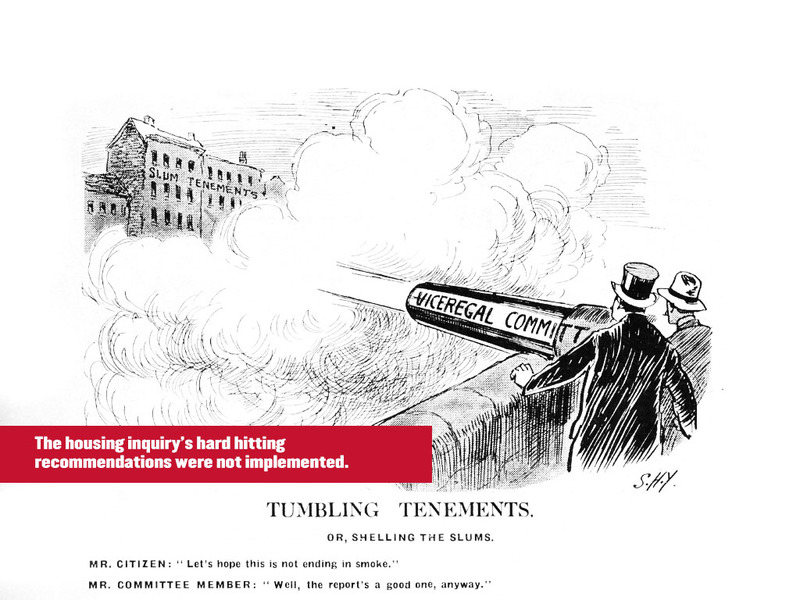 Padraig Yeates, author of Lockout: Dublin 1913 analyses the key factors which defined the Dublin Lockout. Street artist Maser describes the influence of the Dublin Lockout on his work. 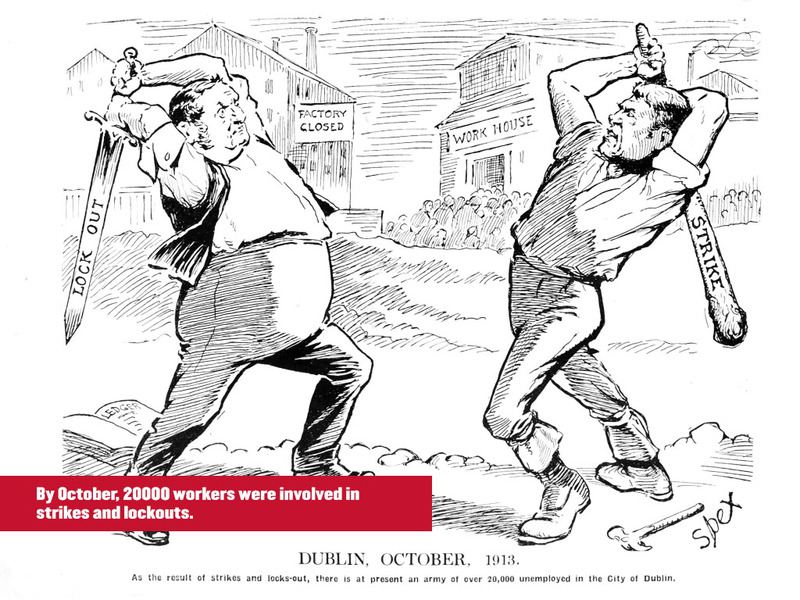 The Dublin Lockout was unprecedented in scale and ferocity and remains the largest industrial conflict in Irish history. Visit the exhibition at the National Library of Ireland, 2/3 Kildare Street, to view original Lockout artefacts such as the Dublin Metropolitan Police record of Jim Larkin’s arrest on “Bloody Sunday” and Sean O’Casey’s reminiscences of his involvement in the labour struggle as a young man. You can view information on where to find us and opening hours here. Exhibition content and learning resources can be downloaded using the links below. If you’re eager for more, there’s something for everyone in our programme of events and activities. Follow us or see the National Library website for full details. 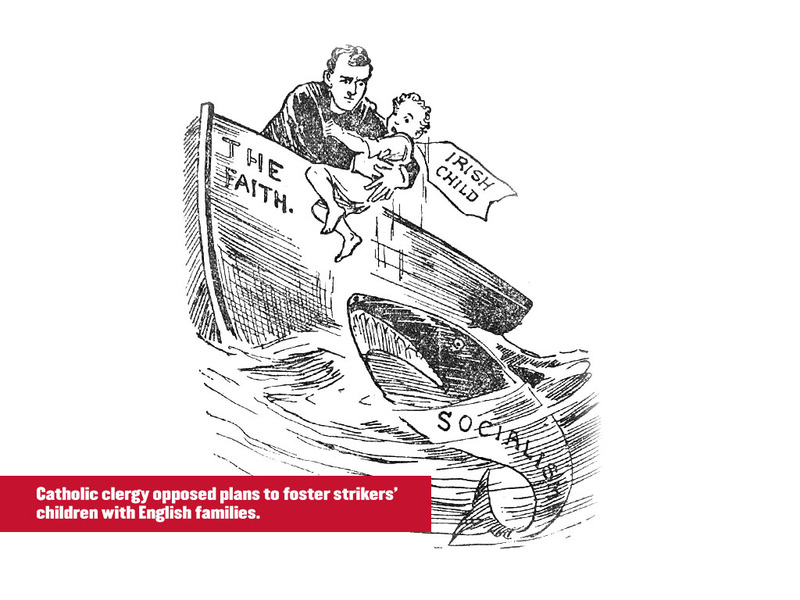 Primary Activity Sheet: Learn about the Lockout! 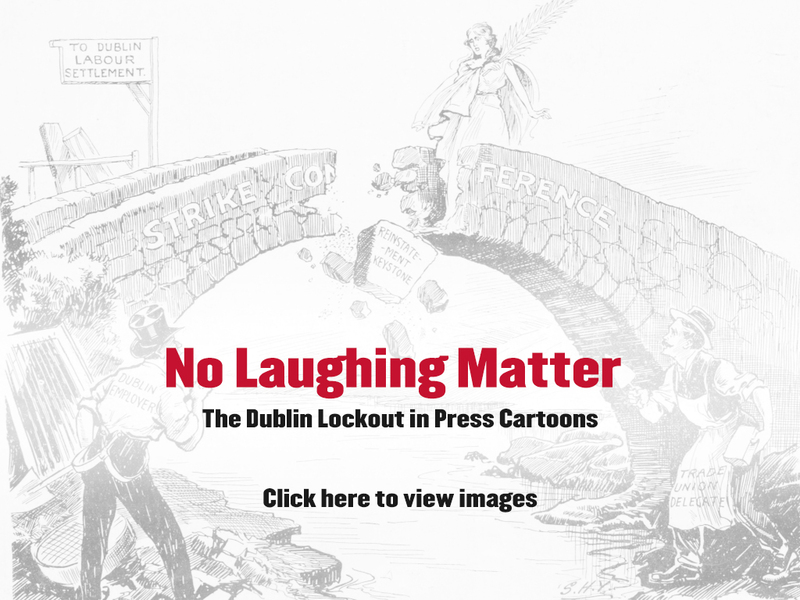 5th and 6th Class Activity Sheet: Become a Lockout Eyewitness! 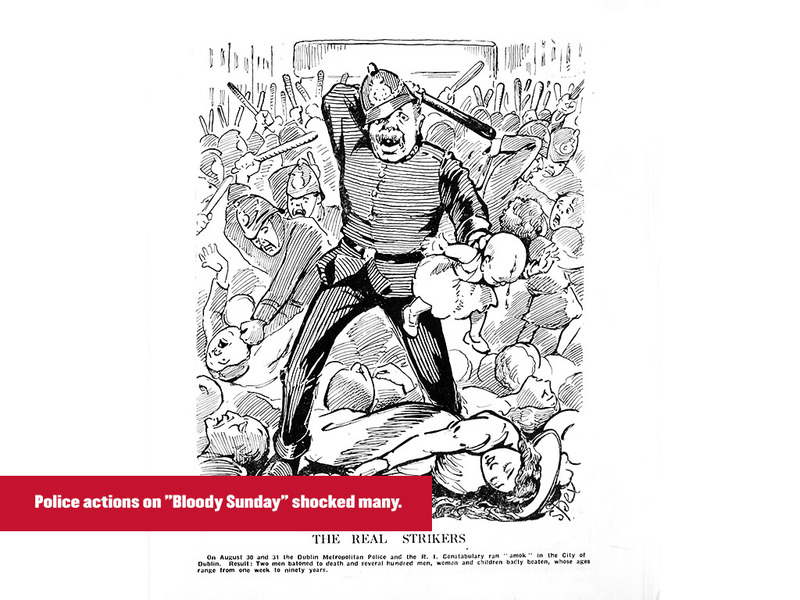 Junior Certificate Activity Sheet: Bloody Sunday - Press and Perception. One City OneBook - "Strumpet City"